Prohibition cigars come in a Rocky Patel-branded Mason jar, shipped to us in crates like the bootlegged liquor of yesteryear. Rocky Patel's ode to the FDA, Prohibition cigars are made using rare, well-aged tobaccos for a deliberately delicious and eye-opening smoking experience. The San Andres Maduro version of Prohibition is a rich and flavorful with sweet and earthy flavor, as well as pleasant undertones of mild spice, cedar, clove, and citrus. 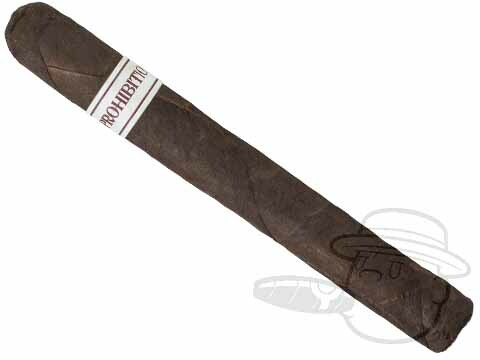 The Connecticut Broadleaf Maduro version of Prohibition is supremely well-balanced with a predominant sweet and spicy profile. This complex blend holds tasty nuances of coffee, leather, dark chocolate, and molasses, along with a rich finish with sweet and woody character.